Happy Memorial Day! 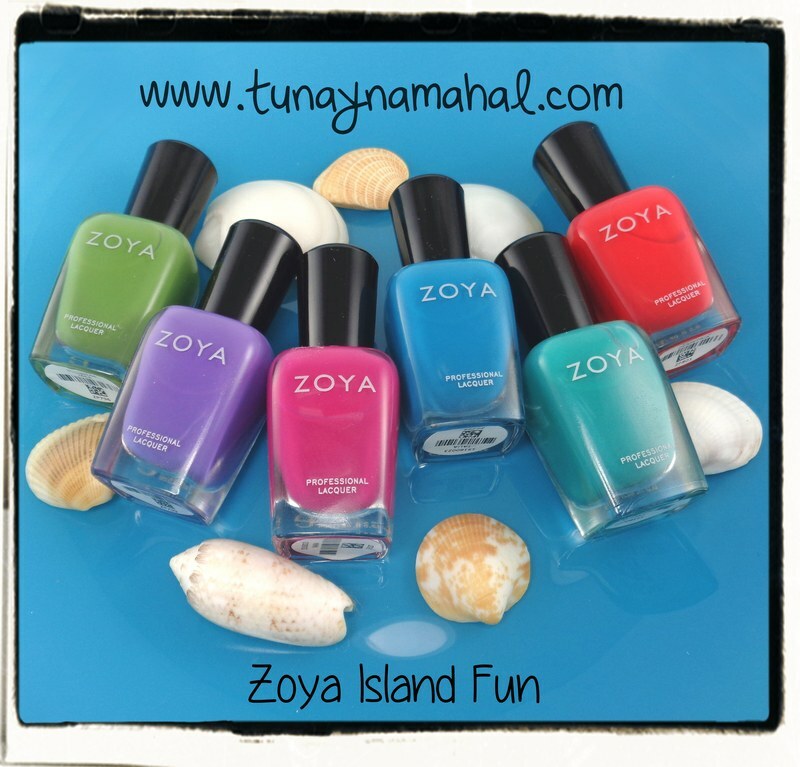 Today I'm sharing the Zoya Island Fun Collection. This is my favorite collection out of the two summer collections. These creams are so bright and vibrant! Please click below to read the rest of this review. Island Fun: Ready for an island vacation, these playful creams embody a tropical getaway! They are strong in color to balance the brilliance of the summer sun, with a flawless cream formula. *I used Seche Vite topcoat on all the swatches below. Serenity: a gorgeous blue base purple. I love how flattering this is with my skintone. This is my favorite! It went on in two smooth coats. Unfortunately due to the pigments used, like most bright purples or blues, it has a slight skunky odor, but it goes away once dry. Nana: a summery fuchsia. I didn't have any applications issues with this. I used two coats. Super pretty color! Talia: a true turquoise. This color is so much richer and even a shade darker in person. It's the dreamiest turquoise. :) I don't own a shade like this, and turquoise is one of my favorite colors. It went on in two smooth coats. 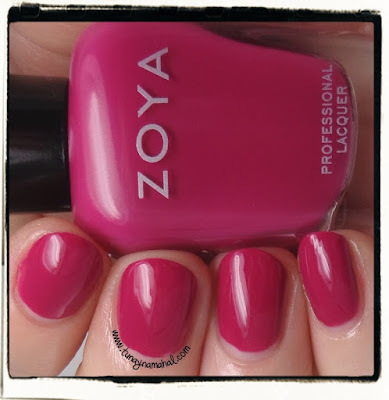 Watch out for cuticle staining with this one. I did wear this color in a full manicure for three days, with OPI Nail Envy for my base coat. Happy to report, I didn't have any nail bed staining. 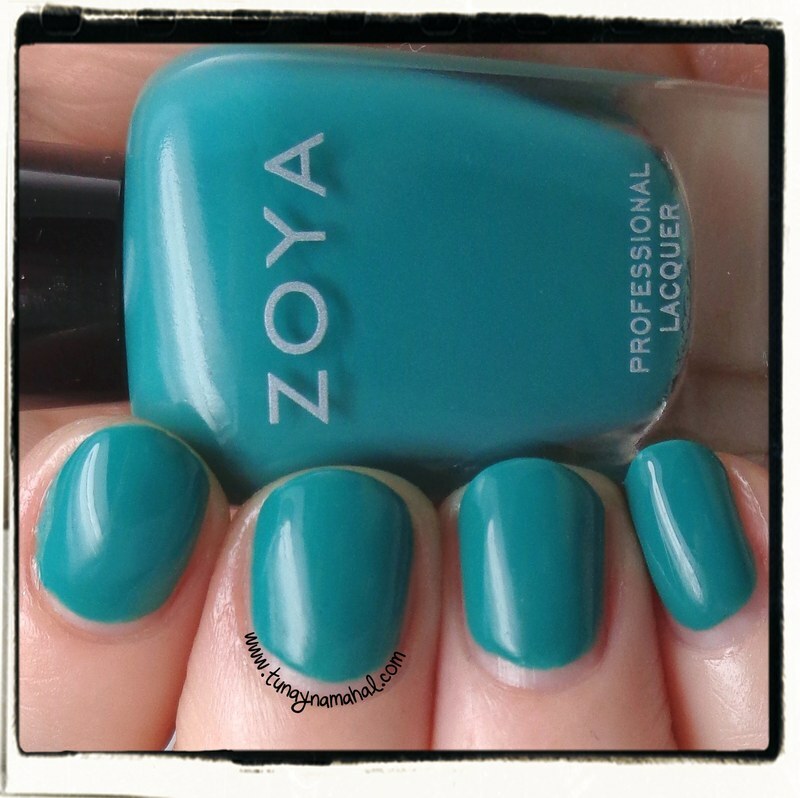 Cecilia: a classic teal. This and Talia make me think of the ocean. Both are gorgeous colors. It went on in two smooth coats. Watch out for staining around your cuticles though. Jace: tropical green. I feel like this shade of green feels slightly out of the place compared to the rest of the collection. It's not the most flattering green for my complexion either. :-p I had a bit of trouble with application on this one. It wasn't as thick and opaque as the colors so I needed three coats instead of two. 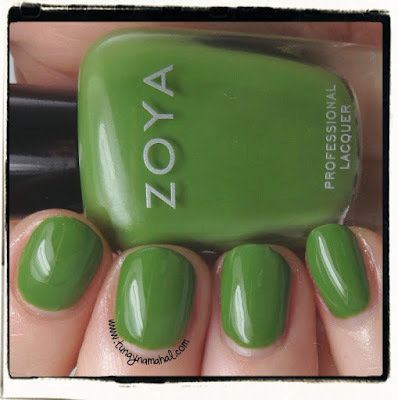 I want to do some camouflage nails sometime, and this would make a great color to use for those. 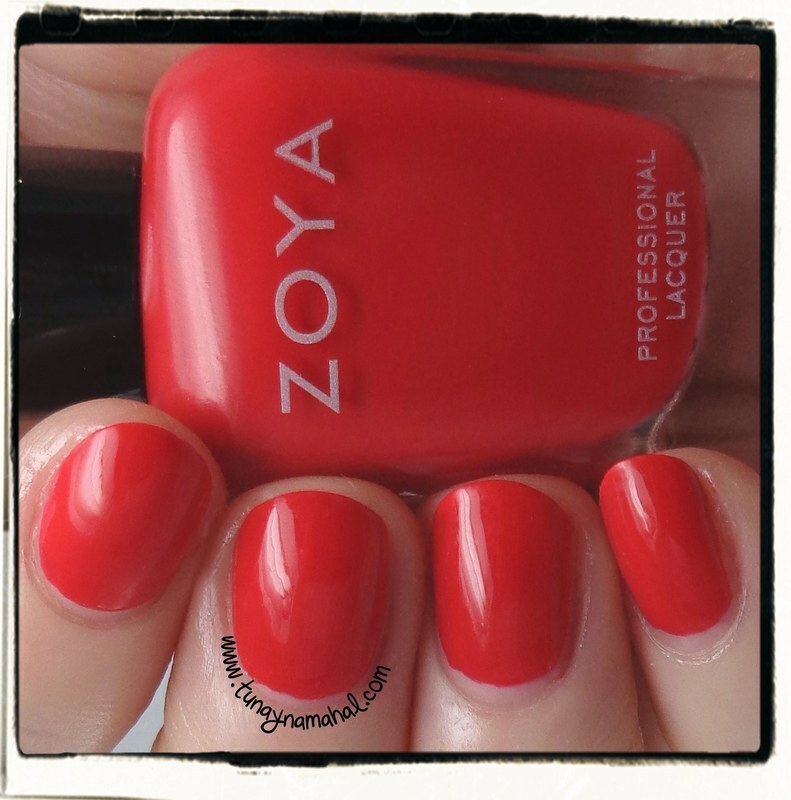 Demetria: a vibrant poppy red. This went on in two smooth coats. This one did stain my cuticles a bit so watch out for that.